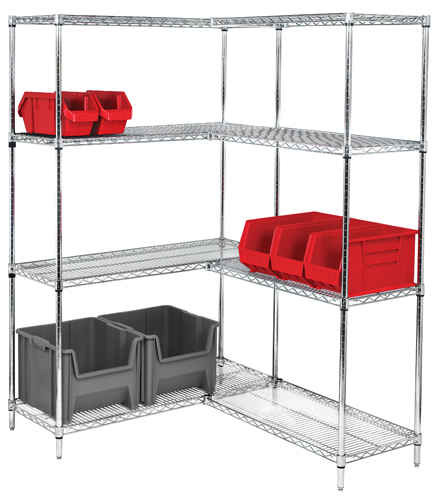 Stainless Steel wire shelving offers superior resistance to wet or corrosive environments. The electro-polished 304 stainless represents the highest industry standard preventing rust and corrosion. Starter and Adder Unit pictured. Bins not included.